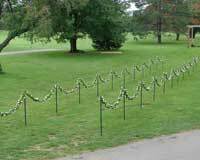 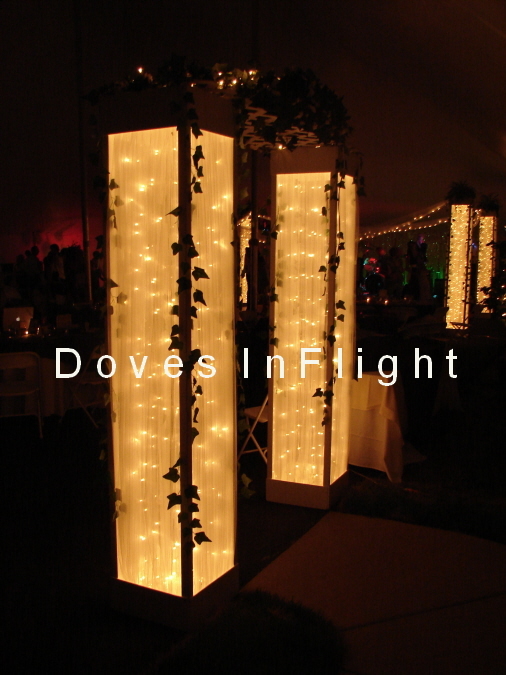 We have many different ways to decorate for your outdoor event. 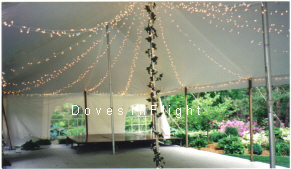 In a tent setting tulle and lights from the top of the tent draped to the sides makes a romantic canopy with just the right amount of lighting in the evening. 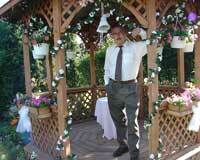 Perhaps a touch of greenery to set the mood. 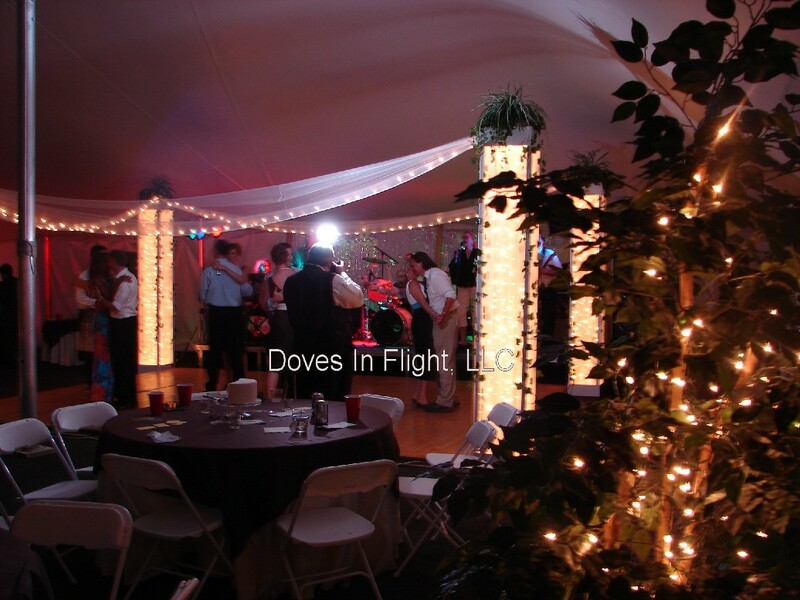 A large rock garden waterfall and pond with plants and underwater lights makes the perfect "wishing well" with the wishing coins collected for the bride and groom! 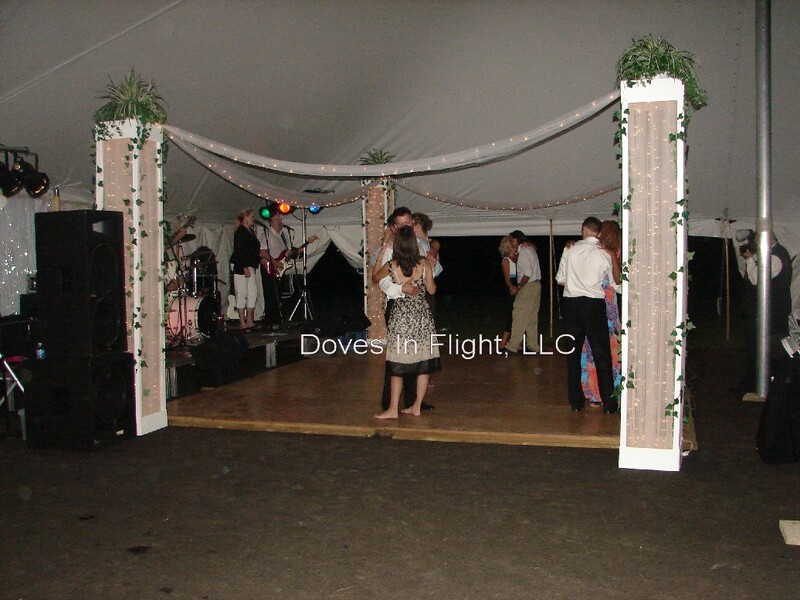 Our decorated pillars are beautiful on the dance floor with several styles to choose from. 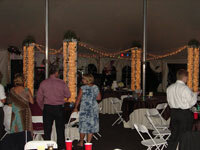 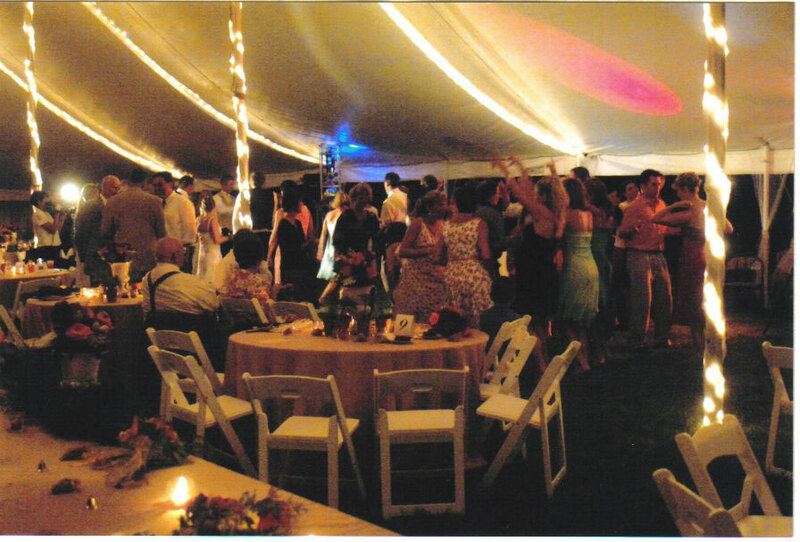 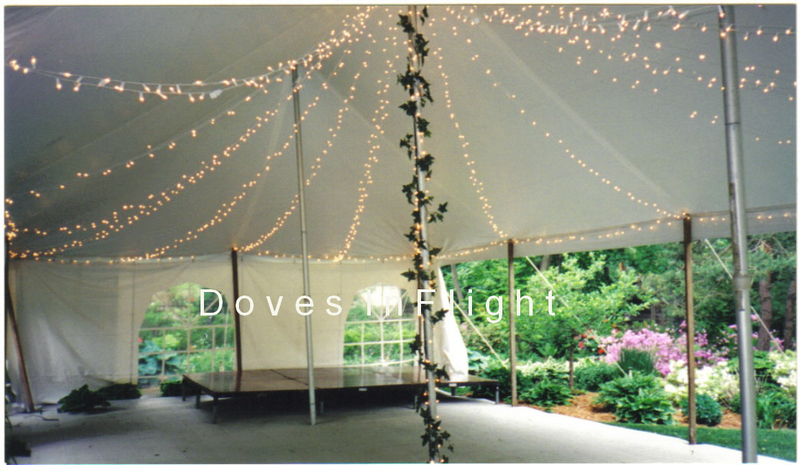 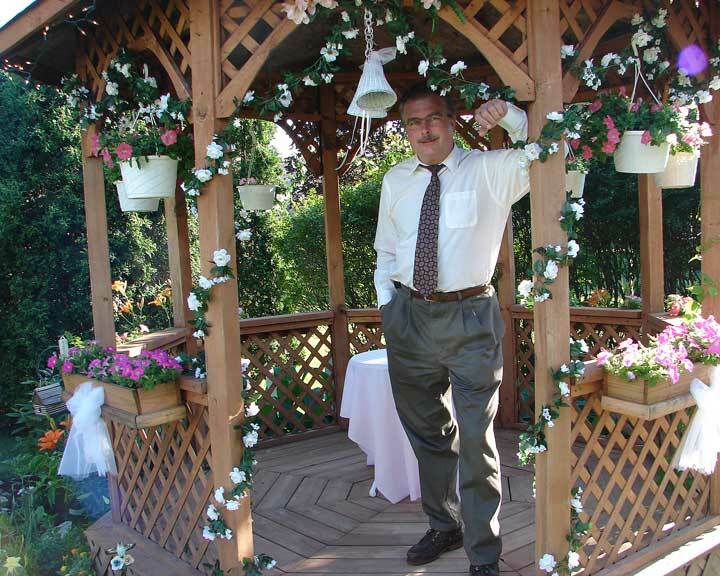 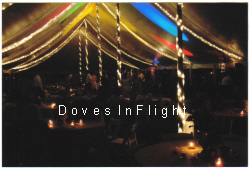 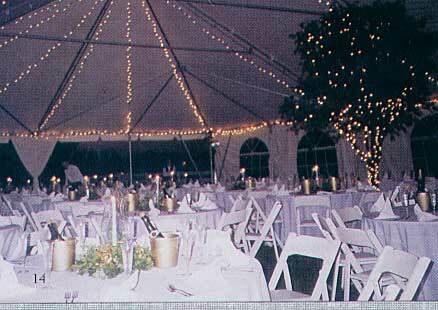 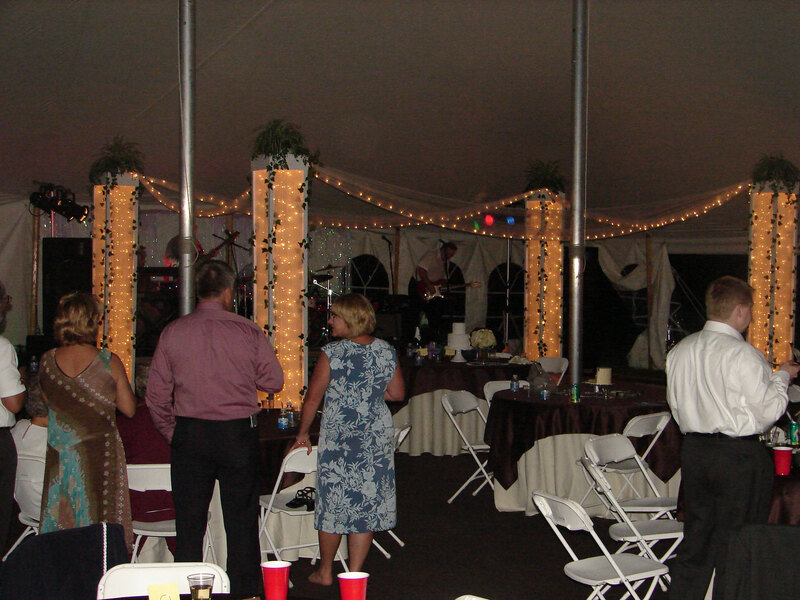 We offer specialty lighting, tiki torches, arches and chair covers for folding chairs for a touch of elegance. 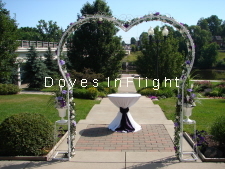 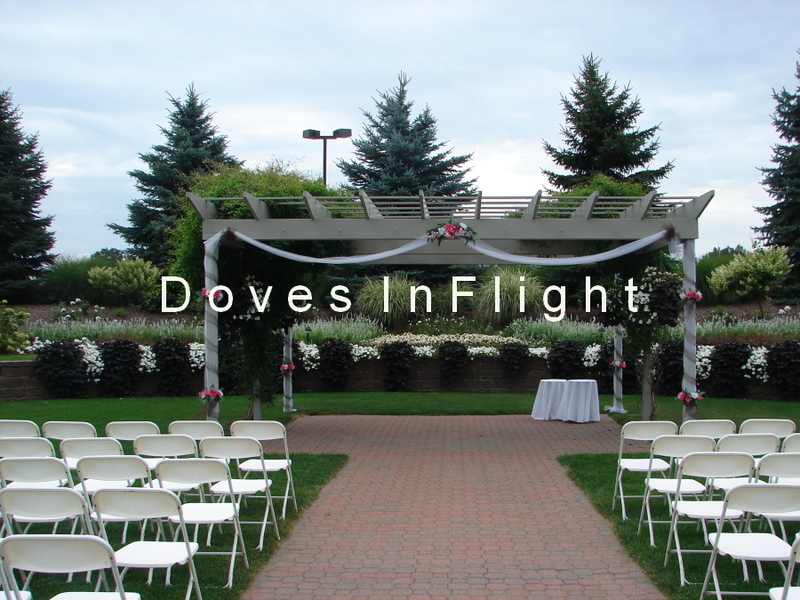 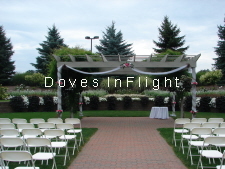 A white dove release adds the finishing touch to any outdoor wedding, often used in place of the unity candle or a group of brilliant white doves released behind the bride and groom as they seal their vows with a kiss makes a beautiful picture. Share your own ideas with us and we can make your dream a reality for your special day. 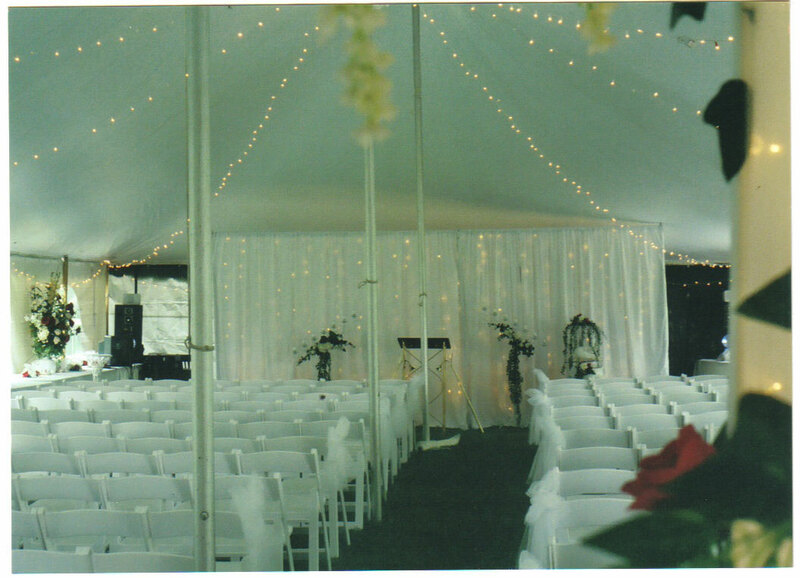 Bridal aisle, Chisholm Hills G.C.